There is no one who never seen Ninja movie. The bleed of ninja movie is very serious. Today We will try to making this NINJA been using paper. As we are a paper craft channel so, every video are in paper. Watch our video here and hope you will be happy to see it. 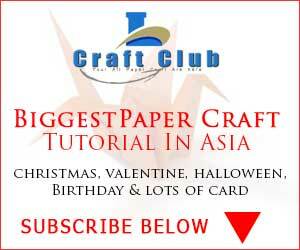 Please subscribe our channel -> Lina’s Craft Club and Share. We are totally new channel. We need to make it popular. Hope you helping us to share our video.